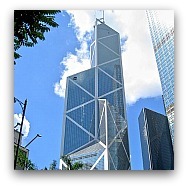 Here is a list of our top Hong Kong Landmarks. 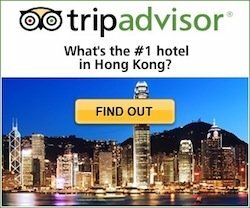 Of course using a very broad definition of a "landmark" to include all the easily recognizable structures of Hong Kong as well as any historical and cultural features that belong to the city. 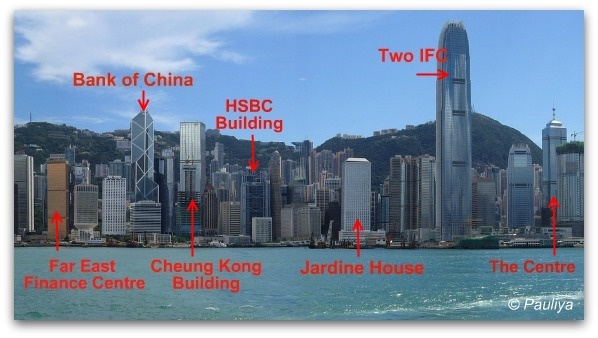 These are the landmarks that we associate unequivocally with Hong Kong. They are beloved icons of the city, part of the heritage of Hong Kong. 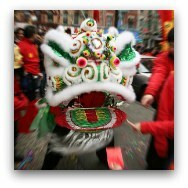 The "Must Do's" on any first or repeat trip to Asia's World City, and some of Hong Kong's top tourist attractions. 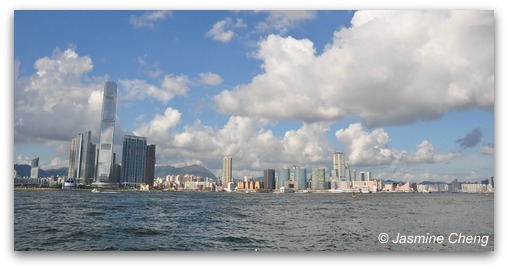 This is Hong Kong's prized iconic landmark with unique and impressive skylines on both sides of the waterfront. 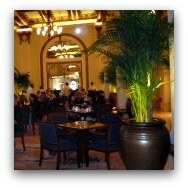 Many ways to enjoy it and feel the pulse of the city. 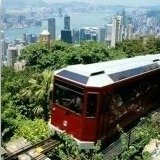 Overlooking Victoria Harbour, the Peak offers some of the most dramatic views in all Hong Kong, and the fun way to get there is of course with the old Peak Tram. this is one of the city's sightseeing "bargains". 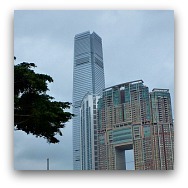 The Hong Kong Skyline is of course a landmark of its own. Hong Kong has the highest number of skyscrapers of over 150m in the world and the skyline is continuosly changing. There are some distinctive buildings that really stand out. Beyond being architectural masterpieces, you can use them as a constant point of reference. 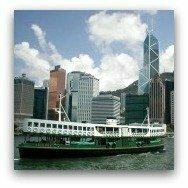 If when coming out of the metro you don't know which way to head over, only need to look up and spot the nearest one of these Hong Kong landmarks and get your bearings. The one with the porthole windows. With the "Koala Bears" clinging from it. The upside down gin bottle. 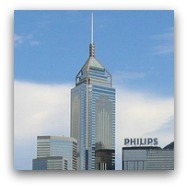 The Hong Kong Skyline kept expanding beyond the Central District. 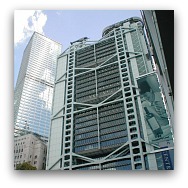 It started with the Hopewell Centre in Wanchai, the 66 story circular building that was at the time of its opening in 1980 the tallest in Hong Kong. 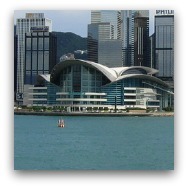 In 1997 to mark the handover of Hong Kong to China, the HK Convention and Exhibition Centre opened and was the site of the handover Ceremony. 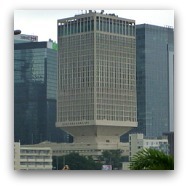 The building boom continued through the 80's and beyond, with the Hong Kong skyline further expanding to the East. Built on reclaimed land and designed to resemble the wings of a bird. 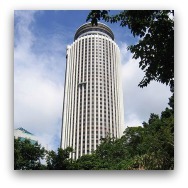 The circular one with the revolving restaurant on top. 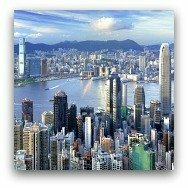 When we talk about the Hong Kong Skyline normally we refer to the striking view of the skyscrapers looming in Hong Kong Island and Victoria Peak just behind, this is the iconic and easily recognized landmark used in brochures and books. 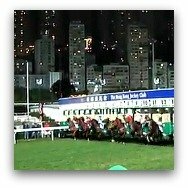 The Kowloon side until recently, lacked any features that really stood out. 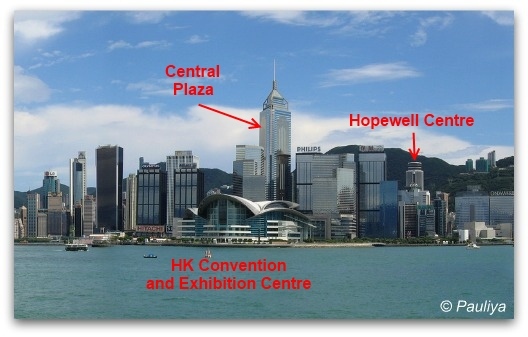 Beacuse of the proximity of the former Kai Tak Airport, all buildings on the Kowloon side were much lower in comparison with their counterparts on the other side of the Harbour as the heights were limited due to the air traffic paths. This restriction was lifted as the new Hong Kong International Airport moved to Lantau Island, and now you see the beginnings of a rising Kowloon Skyline. 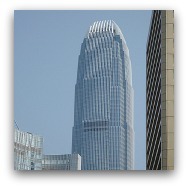 The most prominent landmark is the cluster of new high-rises on the Western side known as Union Square. 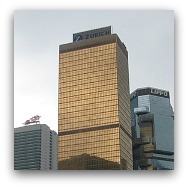 Union Square has been built on reclaimed land, and it houses Hong Kong's tallest building, the International Commerce Centre. 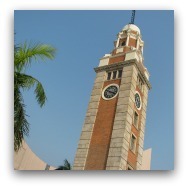 Beyond the ICC and the Union Square newcomers, Kowloon is home to some relics of the colonial era, the Tsim Sha Tsui Clock Tower, and the legendary Peninsula Hotel. 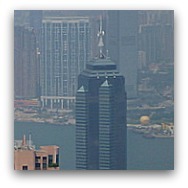 At 108 stories high, the tallest building in Hong Kong. 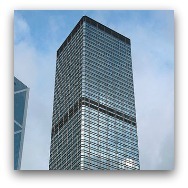 There is an observation deck on its 100th floor, Sky100. The only vestige of the original Kowloon-Canton Railway station, the end of the Orient Express from London. 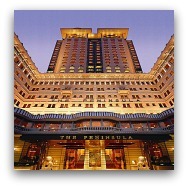 One of Hong Kong's most historical hotels, it even has its own color, "Peninsula Green" refers to the color of the hotels signature fleet of Rolls Royce. 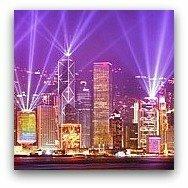 Rather than a physical structure, these are events and features that "belong" to the city, much like New Year's Eve at New York's Time Square, certainly worth checking out for some great fun and that "only in Hong Kong" experience! by the British when they first came to Hong Kong and still very much a part Hong Kong life. 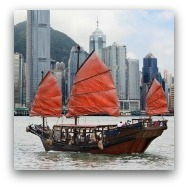 Hong Kong's last original traditional sailing junk. is a splendid sight and has become a cherished symbol of the city. 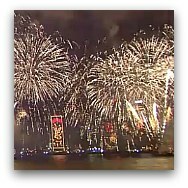 The stage: the whole of Victoria Harbour. 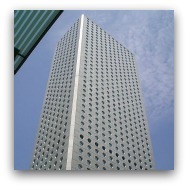 The participants: over 40 buildings on both sides. It is Guinness' "world's largest permanent light and sound show". most famous harbour. 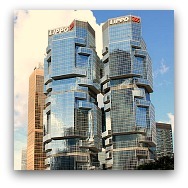 A finest of Hong Kong Landmarks.